From here on out I think that Fall will forever be knows instead as Cross Season. 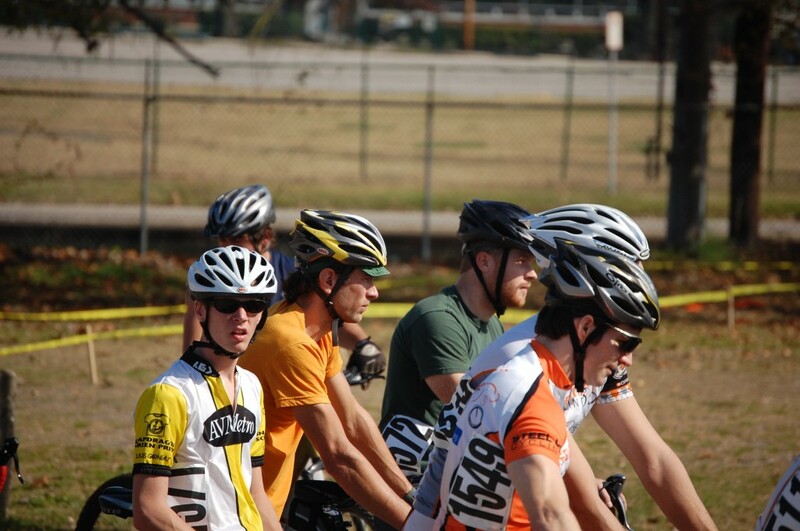 Today I spent a sunny day drinking beer, hanging out and watching CYCLOCROSS! at Sloss Furnace. 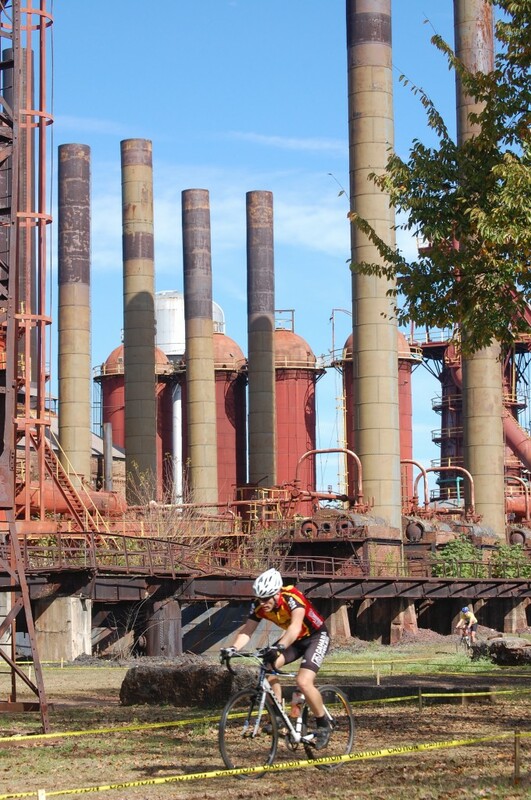 Sloss is the only publicly held industrial site in the world, as well as a killer spot for a cross race. 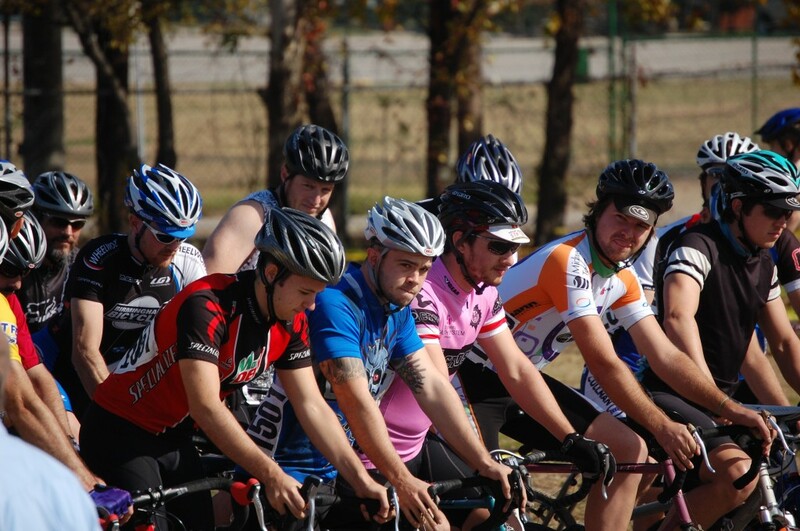 I, unlike Anna, was not racing so I came out ready to take in all the glory that is a bike race. Glorious it was. 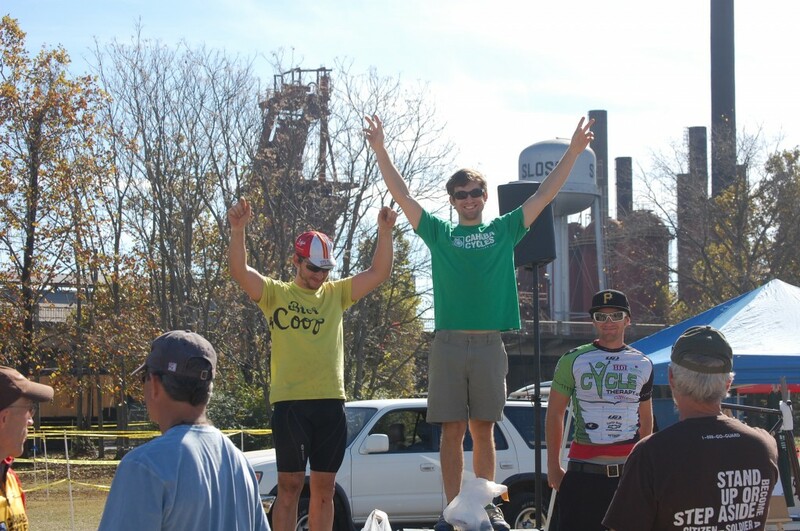 Bici Coop team did very well, with Sam (took 2nd! ), Alan (flatted out 2nd lap and had to run it in), Jesse Heath, Heath, Aaron Lane and Sean Malone in the mens 4-5 class and Anna (got 4th, maybe 3rd…jury is still out!) for the ladies. The course wasn’t too muddy but had it’s share of gravel, hills, switchbacks and obstacles. The site of bikes kicking up dirt in front of the huge foundry was beautiful. Add beer and some good friends and I had a Sunday to write home about. 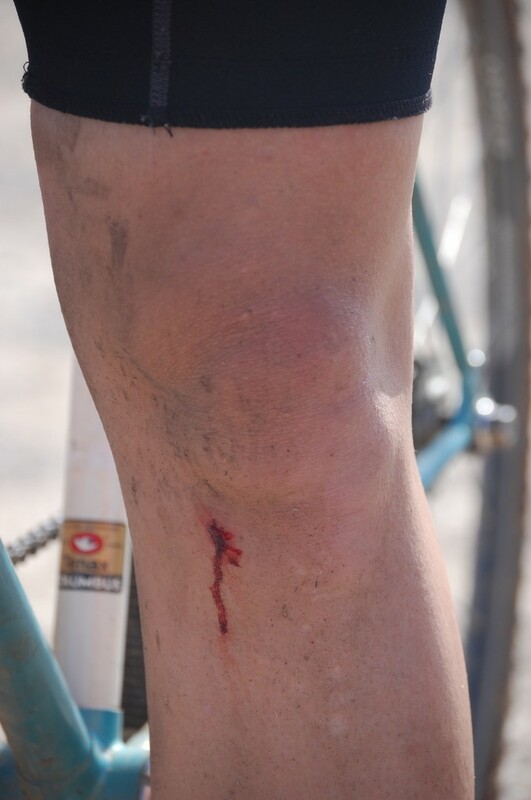 Oh and lots of bloody knees and elbow. I am weird, sue me. 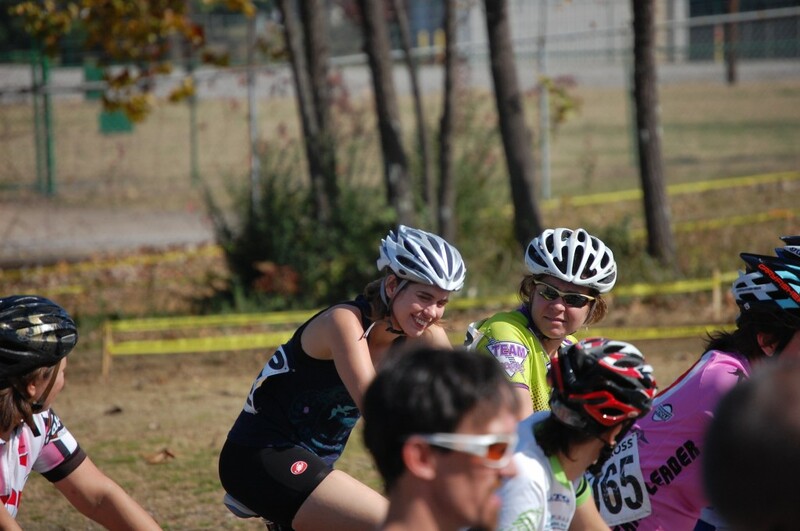 Anna will be writing about her experiences during her first cross race in Part 2. Thanks to everyone at Bamacross for putting this together. Besides the beer situation (Blackwell‘s I am looking at you for your no show! ), everything seemed to go off without a hitch. Awesome pics. I heard about this race and almost wish I had made the trek to ride in it. 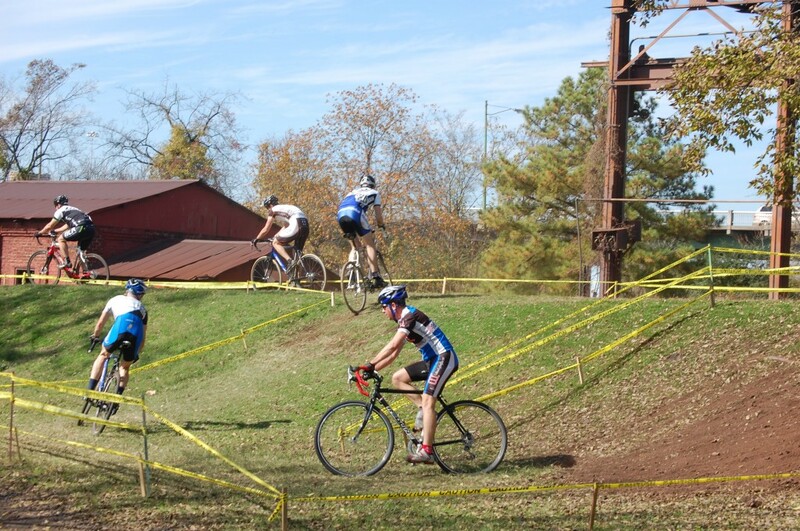 I love cross its such a different style of racing. Glad you had a good time, you should seriously consider doing a race. They are fun! Looks like y’all had nice weather. Now you’ll be ready to do it in the rain next year. They watered down a mud hole specially for us. It was such a great day! really made me want to race…until i remembered how many concussions i’ve had on a straight road!